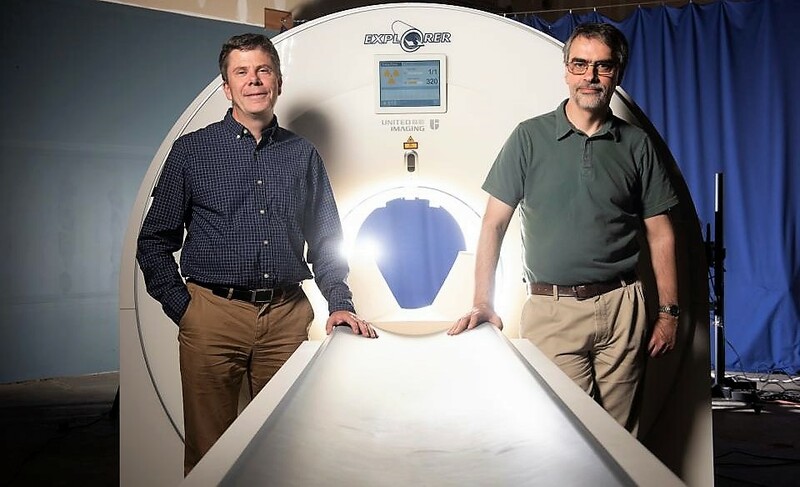 The EXPLORER consortium is a multi-institutional group established to design, build and utilize the world’s highest sensitivity positron emission tomography (PET) scanners for a wide range of biomedical research applications in human patients and volunteers. PET is an extremely safe medical imaging technique that can map out the location or track the movement of tiny amounts of radioactively-tagged compounds (radiotracers) after they are introduced into the body. There are thousands of PET scanners across the world performing millions of PET scans in patients each year. A depiction of the completed uEXPLORER scanner to be installed at UC Davis Health in April 2019. 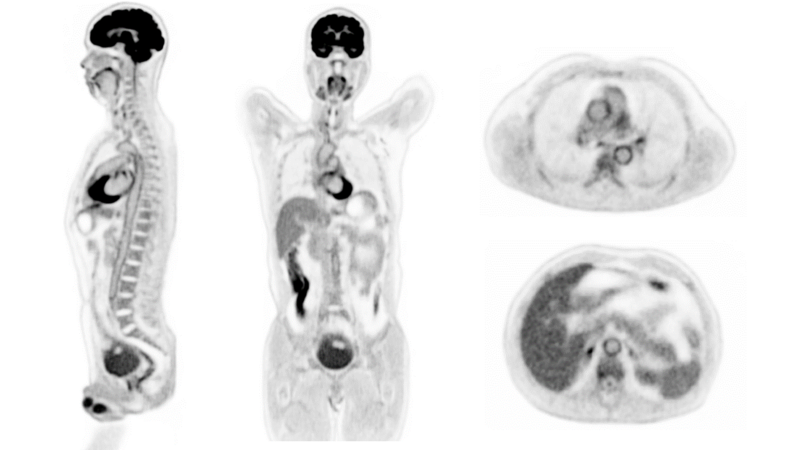 Coronal, sagittal, and axial slices from the first human scan on the uEXPLORER PET/CT scanner. research into systems medicine, including endocrine and immunological signaling related to the brain-gut and hypothalamus-pituitary-adrenal axes which are implicated in a range of debilitating disorders including irritable bowel syndrome. The goal is to make EXPLORER widely accessible to the broader imaging and clinical research communities as an international facility.